Home / ukraine / Since the beginning of this year, nikolayevets has bought a new car for $ 12 million. Since the beginning of this year, nikolayevets has bought a new car for $ 12 million. 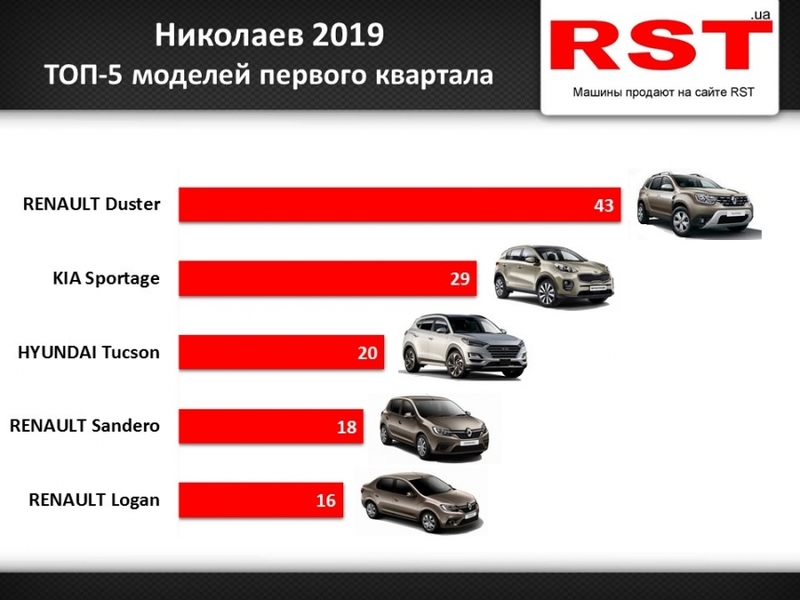 In the first quarter of 2019, 430 new cars worth $ 12 million were registered in Nikolaev and the region. Most of the registered vehicles were priced between $ 17 and $ 35,000, and the average cost of each vehicle was $ 29,000. Renault was the most popular brand in the region. Poltava purchased 87 brands worth $ 1.4 million from RST.ua's website. The most frequently purchased class A car is Kia Picanto. In the B-class, the leader was Renault Sandero. The most popular model in the C-class – Renault Logan. The Skoda Octavia was the top-selling D-class car, and the Volkswagen Passat in the E-segment received more sales. In the F-Class, Mercedes S-Class and Porsche Panasonic cameras were the bestsellers. The sales leader among SUVs was the most popular Renault Duster crossover in all areas. In general, more than 18,000 new cars were registered for $ 550 million in January-March 2019 in Ukraine. The largest number of vehicles purchased in the capital. Over three months Kievans totaled more than 230 million units. Last year, 1,700 new vehicles were registered in the Nikolaev region and region, with a total purchase amount of $ 50 million.